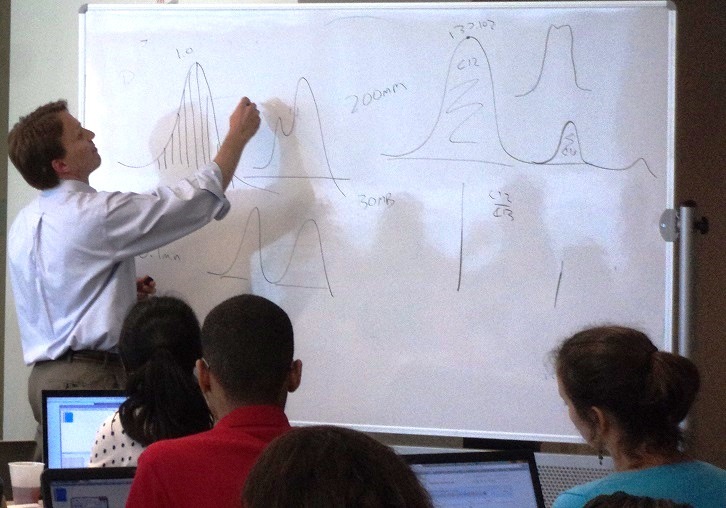 SECIM’s Dr. Tim Garrett illustrates metabolomics peak analysis to the 2015 SECIM Workshop attendees on Wednesday, May 13, 2015. The Southeast Center for Integrated Metabolomics concluded an exciting week of metabolomics education at the 2015 SECIM Workshop on May 14, 2015. SECIM’s second annual metabolomics workshop focused on metabolomics data processing, data analysis, and metabolite identification, while providing an overview of metabolomics and an introduction to analytical instrumentation. Forty individuals, representing eleven different institutions across the United States, joined twenty speakers from six different universities at the 2015 SECIM Workshop at the University of Florida. 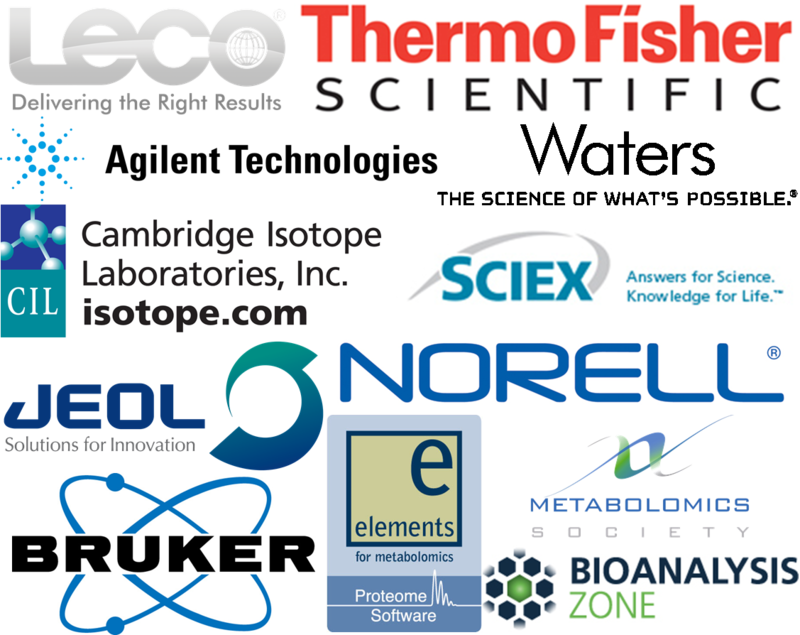 Researchers, professors, graduate students, postdoctoral associates, and event sponsors participated in the four-day event, which featured plenary lectures from industry-leading experts, introductory presentations of metabolomics instrumentation, hands-on analysis of metabolomics data sets, and a research poster session. Plenary lecture topics included: “Introduction to Metabolomics,” by Dr. Jean-Luc Wolfender of University of Geneva; “Metabolomics in Epidemiology and Medicine,” by Dr. Elaine Holmes of Imperial College London; “In-vivo Mass Spectrometry in Clinical Diagnostics,” by Dr. Zoltan Takats of Imperial College London; “Exploring Lung Cancer Metabolome: From Bench to Bedside,” by Dr. Teresa Fan of University of Kentucky; “Enabling Statistical Methods for the Identification of Unknown Features in Global Metabolomics Profiling Studies,” by Dr. George Michailidis of University of Florida; and “Multi-Omic Data Analysis of Inflammatory Macrophages,” by Dr. Shakti Gupta of University of California, San Diego. A photo gallery of the event can be found on the SECIM website through the following link: 2015 SECIM Workshop Photos. Please periodically check the SECIM website for news updates and announcements for upcoming events. Workshop, education, and other event announcements can be found on the “Education” tab of the SECIM website, or through the following link: SECIM Education. You can also join the SECIM mailing list by subscribing through the following link: Subscribe to SECIM Newsletter. Thank you to all those who attended the 2015 SECIM Workshop. We hope to see you again soon.